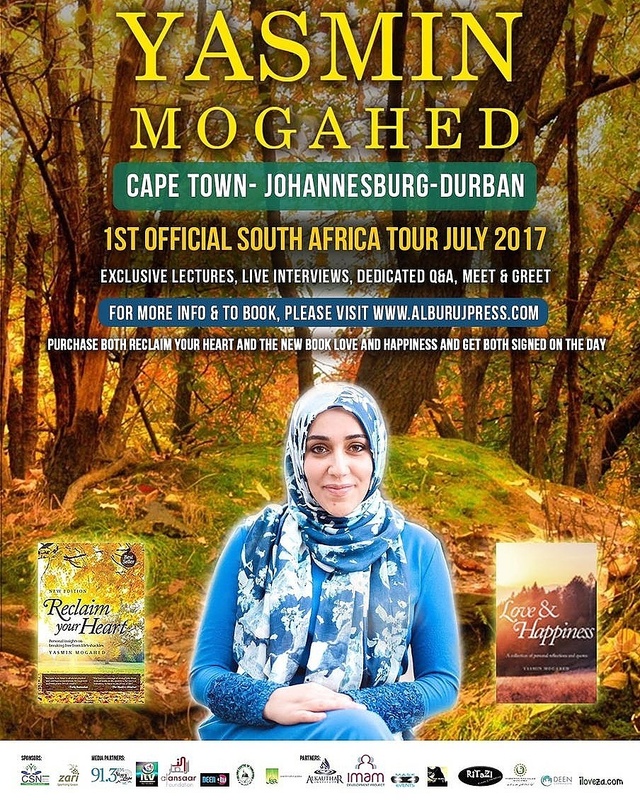 Yasmin Mogahed has captured the hearts and minds of millions of soul-searching Muslims, but finally South Africans will have an opportunity to see her as she embarks on her first official SA tour. Known for her insight on spirituality, love, loss and pain, she has established herself as one of the world’s most dynamic Islamic speakers. Her public speaking tour in South Africa is set to inspire, motivate and elevate. Mogahed is the writer of Reclaim Your Heart, a best-selling and sought-after book, focusing on personal development and growth. As a prolific writer, her words speak from the heart, and she resonates profoundly with her readers. Yasmin Mogahed was born in Cairo, Egypt and raised in the United States. She received her B.S. Degree in Psychology and her Masters in Journalism and Mass Communications from the University of Wisconsin-Madison. After completing her graduate work, she taught Islamic Studies and served as a youth coordinator. She also worked as a writing instructor at Cardinal Stritch University and a staff columnist for the Islam section of InFocus News. Currently she’s an instructor for AlMaghrib Institute and a writer for the Huffington Post and other sites. Yasmin Mogahed’s SA tour kicks off in Johannesburg on 15th July, Durban on 16th July, and moves to Cape Town on 22 July. Mogahed’s regional tours are one day only and specifically for females.